ScreenSteps Desktop 2.9 and Workgroup DocumentationScreenSteps Desktop & WorkgroupScreenSteps 2.9 Exporting to the System ClipboardHow do I paste the path to the PDF file into a file selection dialog on OS X? 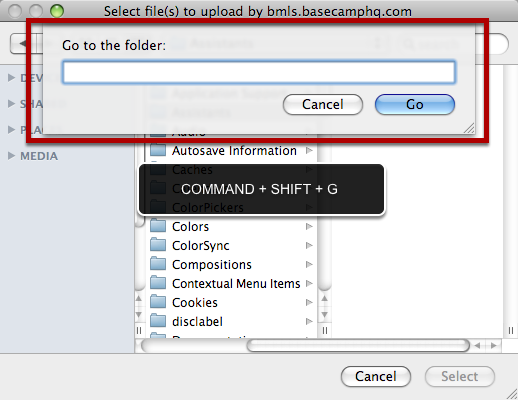 With the file dialog window open, hold down the COMMAND + SHIFT + G keys to open the Go to the folder window. Use COMMAND + V to paste the PDF file path into the field. Click the Go button. 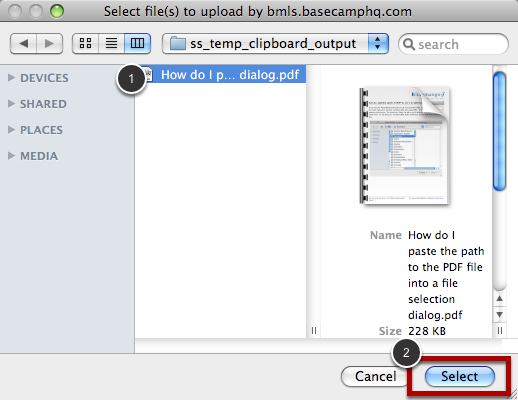 The PDF file is now selected in the dialog (1). 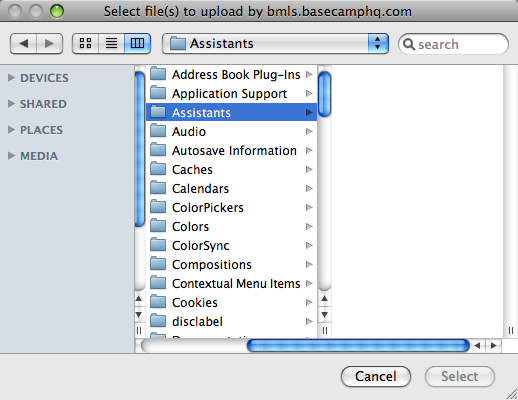 Click the Select button to select the file (2). Prev: How do I Specify Which Template Is Used When Exporting To Clipboard? Next: How do I paste the path to the PDF file into a file selection dialog on Windows?